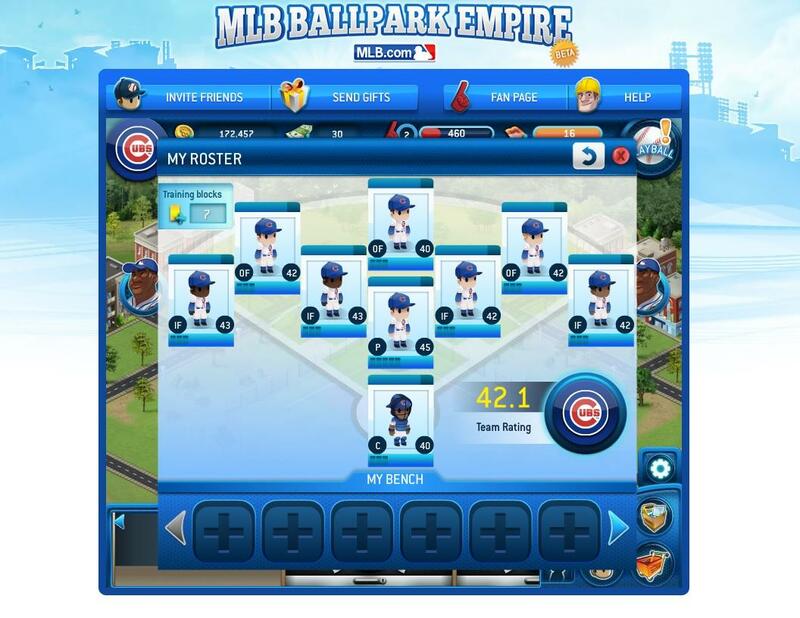 MLB Ballpark Empire lets you experience the thrill of actually managing your own Major League Baseball team from scratch. You will have opportunity to upgrade your stadium, add more business ventures and even create your own dream team. You can challenge other players with your team and see which one is the best from the rest. 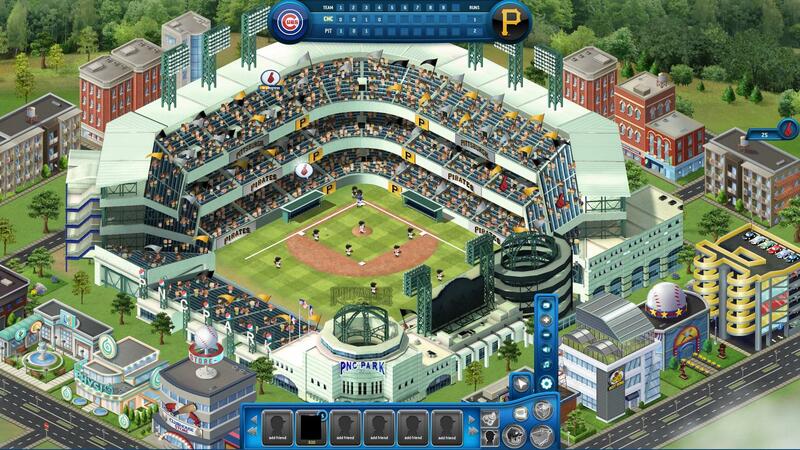 Since the game is more into sports, there is no major plot involved in Ballpark Empire. 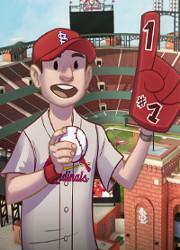 You as the owner of the MLB team must aim to become the best team in the league. 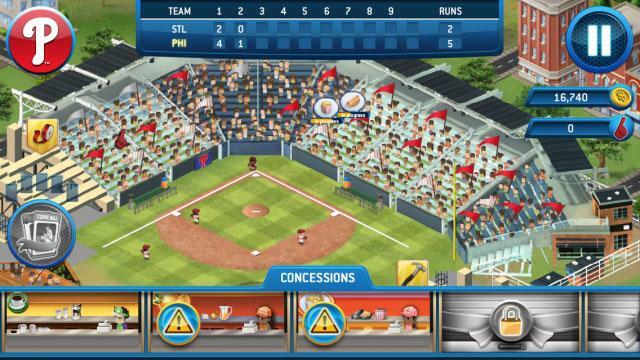 However, the teams featured in the game are all trademarked MLB teams to add authenticity to the game experience and not just some generic baseball manager game. 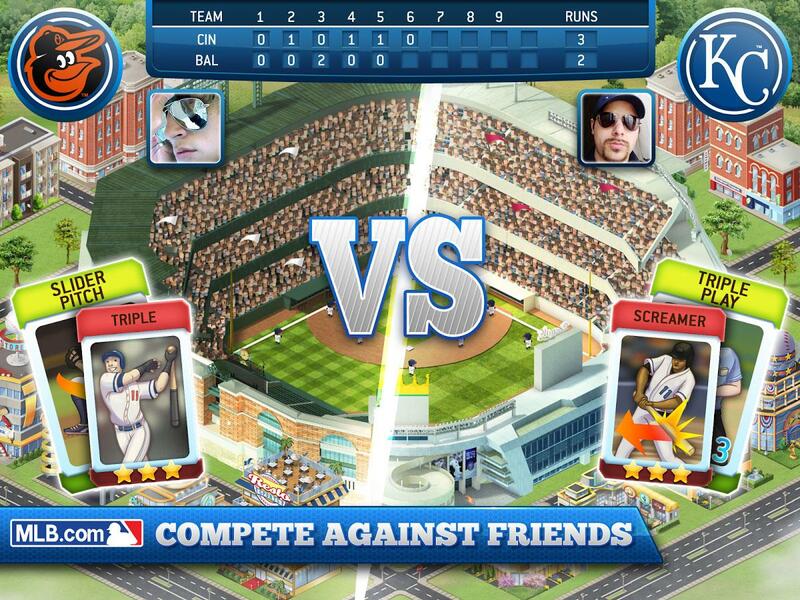 The gameplay in MLB Ballpark Empire has a lot of combinations inspired from popular casual and social network games. 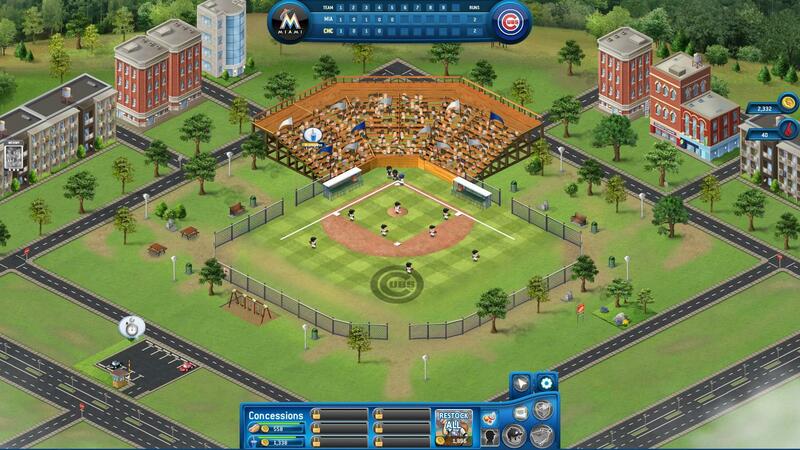 It combines the city building elements as well as the classic sports team manager simulators and even some hint of card games. You start off by picking one from the licensed MLB teams, once you finally decided on which team to manage, you proceed in developing your own stadium. Developing it is very similar to the social city building games found on Facebook, you pick a certain structure that you want to build in your stadium and place it to any adjacent structure, the bigger the size that you constructed, the bigger the capacity for the audience, this means there will be more spectators to attend and you will earn more money. You can also construct other buildings and decorations to boost your sales and fandom; which is basically your experience points, when you level up, it unlocks more content for you to upgrade your stadium. 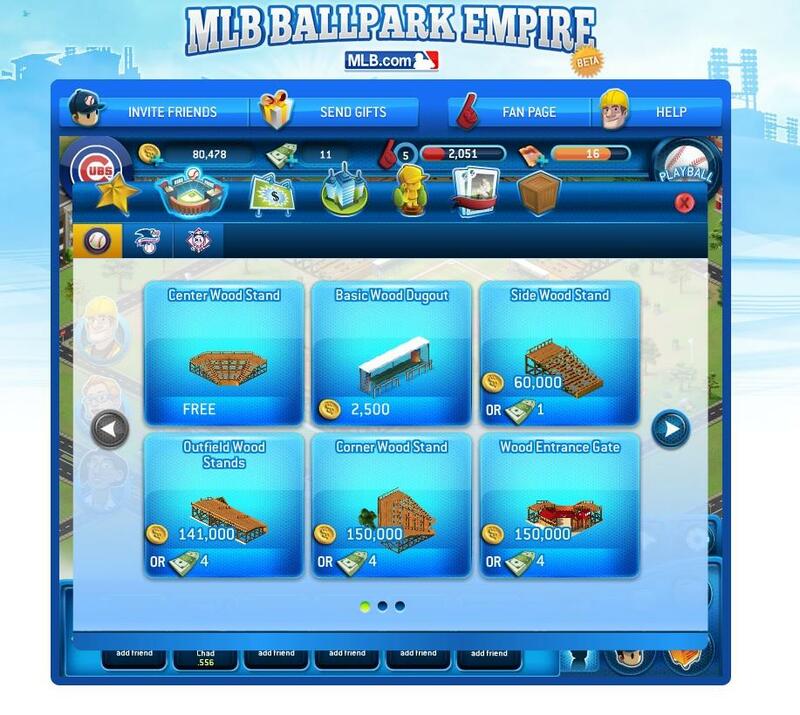 You can create other buildings outside the stadium as a mode of income for your team, just like the social farm building games, you pick which type of income you would set for a certain building, the higher the income, the longer it takes to complete it. Another feature is managing your food and drinks for the audience, once in a while you will unlock more food option as you progress through the game, different foods provide better fandom results and income but will cost higher. Players must also keep the food supplies stable by check the remaining load after every match, replenishing the supply requires spending of money. The main game feature is the team management, you start off with a basic line up of players with a lower performance score, and you can improve their score by training which is done by consuming training bar items or money. However, you can only train these players for a certain amount. If you need to find better performing players, you may have to hire new players, take note that higher stat players are more expensive and after a certain amount of games, you need to renew their contract if you still insist of adding them to your team. Aside from managing your Baseball team, you will also be managing your management team where picking the right person may provide additional buff to your team management. From improve fandom rate to increased income, the better stats requires higher fees, so be sure to invest on the right person for the given situation, otherwise you might go bankrupt on overspending on your staff. And now the most interesting part, the baseball matches. Starting a match will require some stamina in the form of tickets. You can select from normal matches to season plays, when you play in normal matches, you will be pitted against other player’s teams depending on your current performance score, while in season matches, and you go into matches in the calendar. Each day will have different teams that you will compete and some may provide bonus items. Before the start of any match, you have the option to adjust the ticket price of your stadium, if you are playing as an away team, you don’t have that option. You can also add ability cards to help you get an advantage in the game, keep in mind that once you use the card, it will be consume and cannot be recovered. During the game you can click on the food icons popping out in the spectator area, these are the hungry audience and once you served them food, they will give out fandom points, random items for crafting or money. And after the game whether you win or lose, you will gain fandom points and some amount of money. As for online community, there is an active group that is dedicated. There are also some Facebook users who are playing the game once in a while. In terms of interaction, you can send gifts to your friends in the game and you can receive some as well. You can add friends by inviting your Facebook friends to play the game and it has the same social interaction from other city building games where you can visit other stadiums and earn bonus coins and points. The visuals are more on 2D sprites, but has more details compared to some of the generic city building games, as when you zoom into a structure, you can see more intricate details. For the sounds and music, there are ambient noise during a match where you can hear the spectator cheer and when in the stadium building area, there is a catchy background music to keep the mood in a relaxing state. 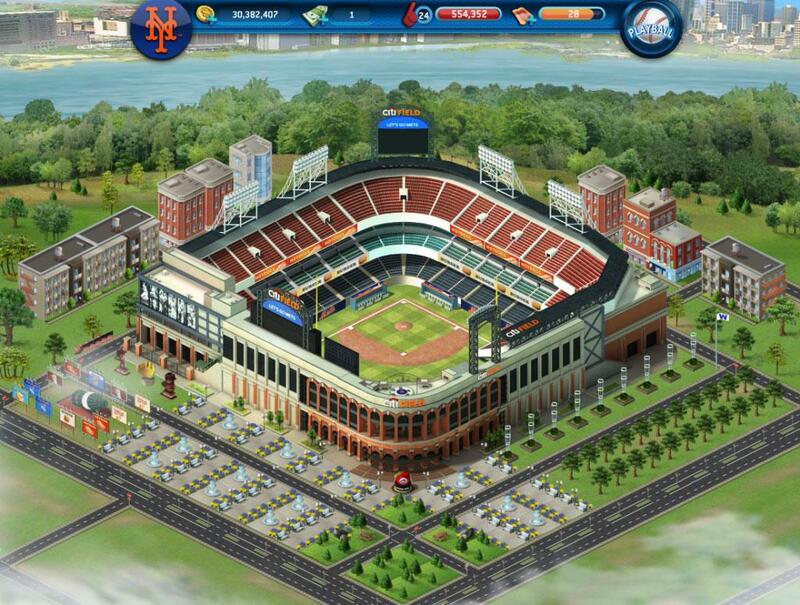 MLB Ballpark Empire is one interesting city building game that combines the elements of team manager simulator and the social games. 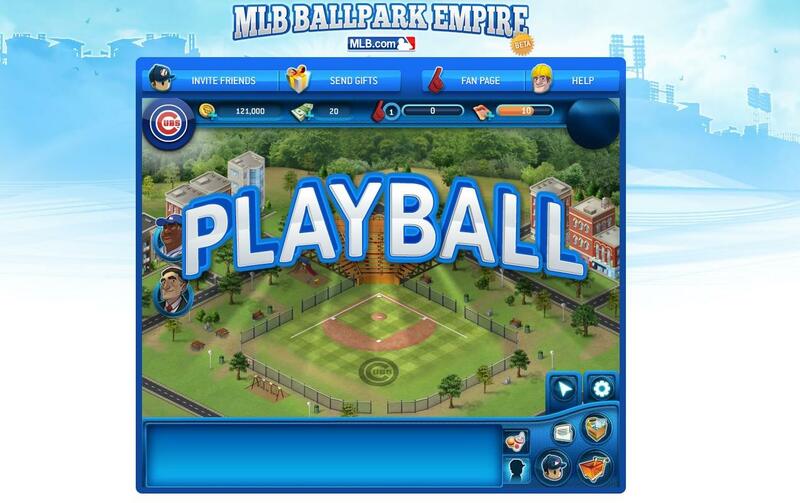 Players who are not into baseball might get interested on playing this regardless if they know the mechanics of the sport, and this can provide a fresh new feel to city building games. 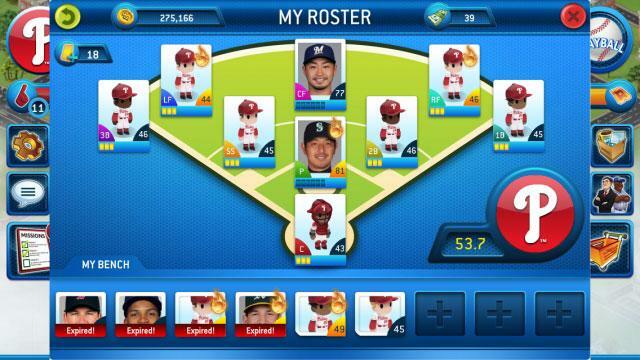 by Richard Dec 7, 2016 With MLB Ballpark Empire, you can manage you very own baseball team and aimed to become the best team. Upgrade your stadium with the best equipment and hire the best staff to man your business. Hire the best players in the league and train them to form your very own dream team. Read More Be the First to Post a Review!